The children can choose to have a packed lunch provided by parents or a school dinner. Please inform the office staff, in writing, of your preference. Children may change from one to the other, however you must give one weeks notice, in writing to the office, e.g. if you wish to change to school dinners from a Monday, you must have informed the office the previous Monday of your intentions. We thank you for your cooperation on this matter as the kitchen staff need the notice to alter their orders and cooking times. Below you will find further information about lunch at St Joseph's. - We are a Healthy Eating school. During PHSE and other lessons we discuss with the children maintaining a healthy lifestyle, with diet and exercise being crucial. A healthy and nutritious lunch is important to allow children to maintain levels of energy and concentration. Therefore packed lunches must be healthy - no fizzy drinks, sweets or chocolate bars. The children have a staggered lunch from F2 - Year 6. Monday - 3,4,5,6. Tuesday 4,5,6,3. Wednesday 5,6,3,4. Thursday 6,3,4,5. Friday 3,4,5,6. 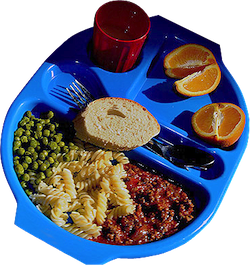 -In Key Stage Two (Years 3, 4, 5 and 6) school meals cost £2.30 per day, which is £11.50 per week. Please put payment for the week in an envelope marked with your child's name and class and send in with your child on a Monday. This money is then collected in by your child's teacher/teaching assistant. -Some children in Key Stage Two are entitled to a free school meal under the FSM/Pupil Premium system. To check eligibility and complete a registration form for a free meal in Key Stage Two, please click here. -School Meals operate a three week menu cycle. Please see the menus below (clicking on a menu will open it). 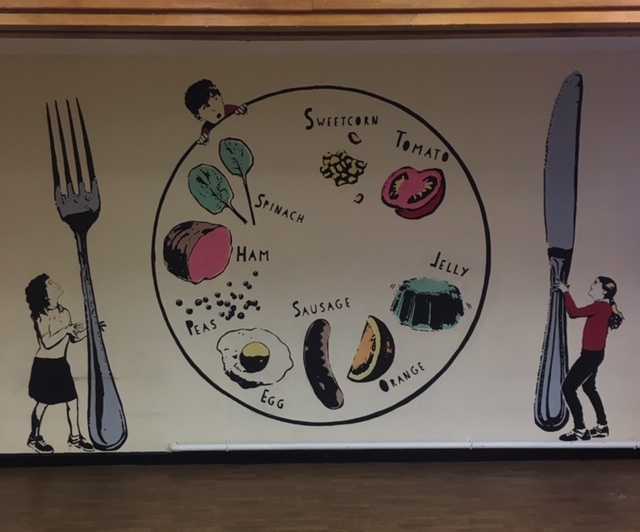 At certain points during the year we offer a 'taster day' where children who have a packed lunch can have a school meal to try for one day for £2.30. We will inform you of when these days take place should your child wish to try a school meal. *Pupil Premium funding is money the school receives to spend on the children, in order to help their opportunities and learning. If your child is in Key Stage 1 and therefore already receives a Free School Meal, but you come under the criteria for Pupil Premium, please can we encourage you to complete the form here. This way the school will receive funding from the Government which we can use to support your child. If you require any further information, please speak to the office staff.